Top Pet Industry Trends for 2017 from the Global Pet Expo Dog Breed Slippers Are the Perfect Gift for Dog Lovers! Find Out Where to Get Yours. Last weekend we officially rang in springtime with our first camping trip of the season. Though we only stayed for one night, it was a great way to enjoy the amazing weather before it gets too hot or the air is full of so much pollen that my face explodes. It was Ralph’s first camping trip and I think he was a bit unsure at first, but felt more comfortable as the weekend went on. Even though our schedules will get super busy in May and June, I hope we have a few more camping trips to come so he can feel more at ease. Spring not only brings amazing camping weather, but also beautiful flowers (though many are poisonous to pets!) 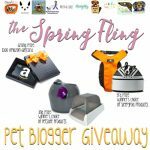 and the annual Spring Fling Pet Blogger Giveaway. 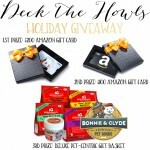 This year we have partnered with 9 fabulous pet bloggers to giveaway three UH-MAZING prizes. Trust me. These prizes are so good you don’t want to miss out! I don’t mess around when it comes to making sure my dogs have proper identification. Just last week, my apartment complex called animal services because someone’s dog got out without any ID – no tags or microchip and it wasn’t registered with them! That would be my worst nightmare, so my dogs wear ID tags and I always make sure to keep their microchip updated with our contact info. I hadn’t considered getting my contact information embroidered directly on their collar, but I absolutely LOVE that idea from dogIDs and am kind of jealous that I can’t win one for Ralph or Luna. 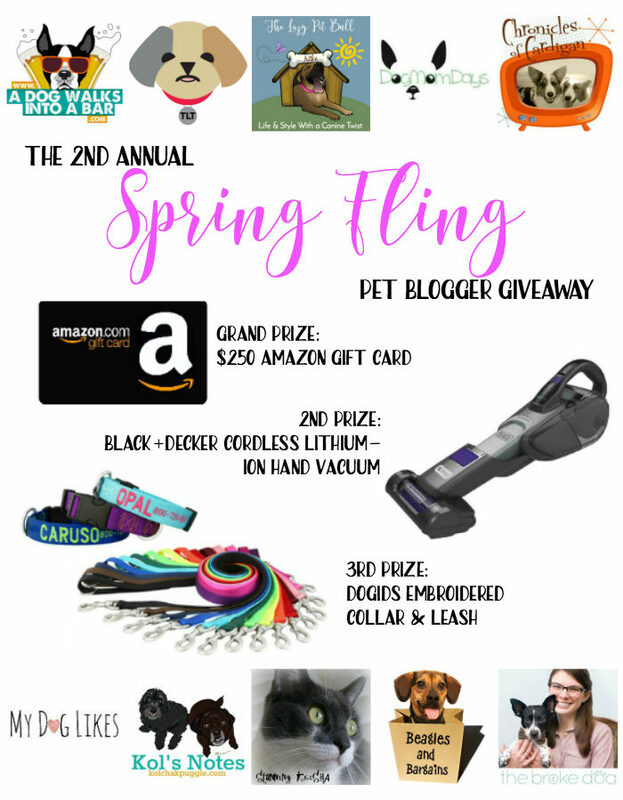 Plus, the prize includes an awesome leash! I’m quite familiar with the Black+Decker brand through various power tools. Though I haven’t personally tried out the Cordless Lithium-Ian Hand Vacuum, I think it sounds pretty amazing. How cool is it that the vacuum can handle pet hair, litter, and kibble? Again, I’m pretty jealous I can’t win this prize either! Do I even have to mention the $250 Amazon Gift Card? TWO HUNDRED FIFTY DOLLARS. Imagine the how many of treats you could buy Ralph & Luna with that. Hey get out of here, silly dogs! Great question! 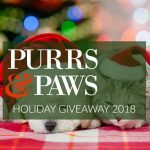 First, you’ll want to check out the Rafflecopter at the bottom of this post. You can enter it just like you would any other Beagles & Bargains giveaway. There is one mandatory entry and whole bunch of optional entries that will open up once you complete the first entry. Feel free to enter as many as you can for more chances at winning and even come back each day through April 25, 2017 to tweet for even more entries! So what are you waiting for? 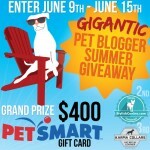 Go ahead and enter here, then hop on over to the 9 other fantastic pet blogs listed below. Be sure to keep hopping until you have hit all 10! This giveaway ends at 11:59 PM EST on Tuesday, April 25, 2017 and is open to US and Canadian residents (excluding Quebec and where prohibited by law). 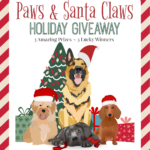 Three winners will be randomly selected on Wednesday morning and announced on Beagles & Bargains Facebook page (be sure to follow, so you don’t miss out)! The winners will be notified via email and each will have 48 hours to respond and claim his or her prize. 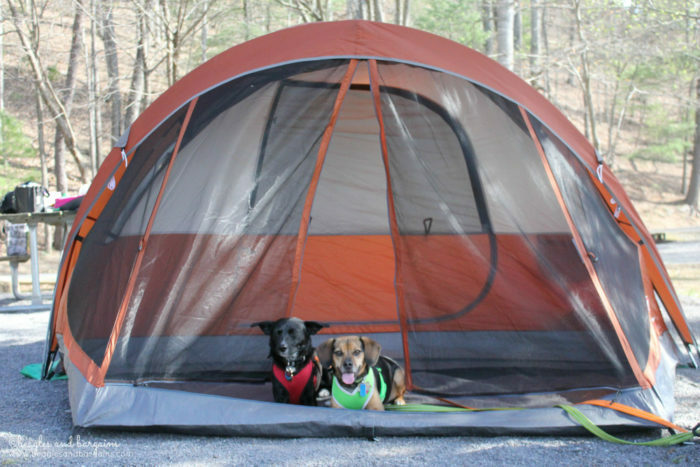 What is your favorite springtime adventure to go on or do with your pets?